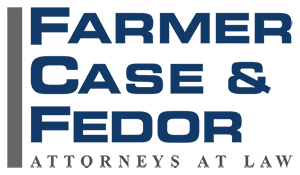 Tiffany Steward is a partner at Farmer Case & Fedor and specializes in general civil litigation with concentration in the areas of vehicular, products and premises liability, insurance coverage, workers’ compensation subrogation, commercial auto/transit liability, construction injuries, and government entity liability. Ms. Steward is licensed to practice in California and Nevada. She is a member of the San Diego County Bar Association, San Diego Defense Lawyers Association and Los Angeles County Bar Association. Ms. Steward’s past experience as a claims representative for an international insurance carrier provides her with a unique perspective in navigating the world of insurance defense and coverage.